Do you have a website for your business? If not, then you are losing out on some important opportunities. How you can resolve this is by looking into web design so that you can have the website that is going to boost your earning possibilities. It is important for your company to increase its publicity to international markets as well as the domestic markets. Website designing is something that will provide your business a quality presence on the Internet. BCNI is committed to creating the best business websites so that your company can explore other markets than the local one. BCNI will help your business expand its horizons, by creating a professional image online for your company. BCNI provides websites for business in Oakville, Burlington and Mississauga. 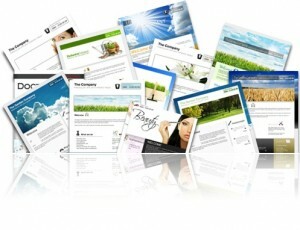 We use several tools to develop powerful websites which are rich in graphics and functionality. All of our projects for websites for business are managed by our team of experienced web developers who have many years of experience in consulting established businesses. Whether you have a new business idea or would like to transform your existing website into a thriving online business, BCNI can make it happen. We are a web design company that focus on building a long term relationship with businesses. We understand that needs of a business are ever-changing. Our website maintenance contracts offer a cost effective alternative to maintaining in-house Web design or development expertise. We are a web design company fully owned and managed by IT consultants with experience of working with prestigious blue chip companies. We maintain high service levels on all projects however small or large. You shouldn’t be concerned about costs of creating websites for business in today’s unstable economic climate, as BCNI is the best answer for your cost concerns. We will create customized web solutions for your company, so that the website for your business fits your specific needs and it is not cost-consuming.